Too much addictive sugar. A study published in 2012 by the American Diabetes Association estimated that 20% of all of the money spent in the United States for health care is spent on people with diagnosed diabetes, 60% of the costs of which are paid for by the United States government. 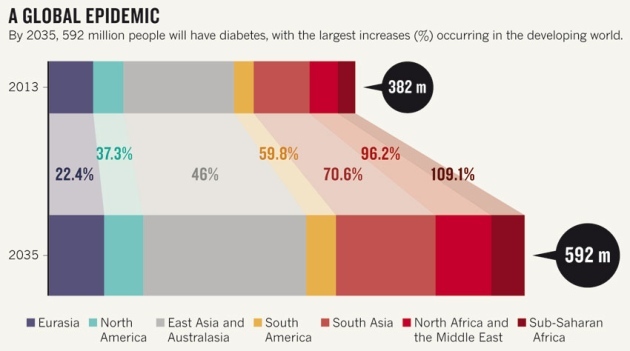 This is not a problem specific to the United States, as diabetes is a global health problem with tremendous costs. For example, ten percent of the people in Panama have diabetes. The International Diabetes Federation estimates that 366 million people have diabetes, and that $454 billion is spent on health care for diabetes. This cost is approximately the same as the estimated costs, circa 2004, of health care for drug abuse in the United States, estimated as follows: illegal drugs - $181 billion/year, alcohol - $185 billion/year, and tobacco - $193 billion/year, a total of $559 billion/year. In the year 2013, the American Medical Association classified diabetes as a disease. One major cause of diabetes, especially type 2 (adult-onset) diabetes is over-consumption of a food drug, sugar, especially sugar that is added to popular consumer drinks such as sodas and fruit juices. A 2013 study published in Diabetologia, which studied diet and drinking habits of 28,500 people in Europe for 15 years, showed that drinking one sugar-enhanced soda a day, for example, an 8-ounce can of Coca Cola (37 grams of sugar), boosts the risk of acquiring type 2 diabetes by 22%. Research shows that, globally, 180,000 deaths a year can be attributed to sugary drinks (Sugary Beverages Linked to 180,000 Deaths Worldwide, Alexandra Sifferlin, Time, 20 March 2013). 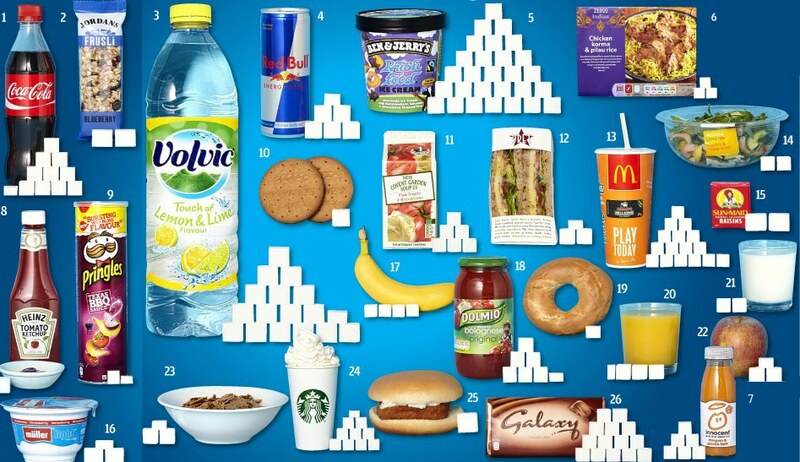 Figure 1 is a table of the sugar content of various beverages. A May 2013 article in the Clinical Journal of the American Society of Nephrology reveals a new danger of sugary drinks: “Soda and other beverages and the risk of kidney stones.” Another study in 2013, published in the New England Journal of Medicine, reported that high levels of blood sugar raises the risk of dementia. Nature Communications (http://dx.doi.org/10.1038/ncomms3245), in August 2013, published even more dire warnings about sugar: "Human-relevant levels of added sugar consumption increase female mortality and lower male fitness in mice", that is, the sugar consumption at typical levels by humans can be toxic. The new "sugar" for millions of childen: Ritalan: it acts much like cocaine. See also Ritalin & Cocaine: Ritalin as a gateway to cocaine. See also: Selling of ADHD - addicting 3.5 million children in the U.S. to ampthetamine drugs such as Adderall and Ritalin, $9 billion annually in this cartel's sales. In an opinion piece published in the 1 Feb 2012 edition of Nature, Public health: the toxic truth about sugar, researchers at the University of California, San Francisco, argued that sugar should be a controlled drug just as are tobacco and alcohol (alcohols, which they sarcastically note, are nothing more than distillations of sugar). 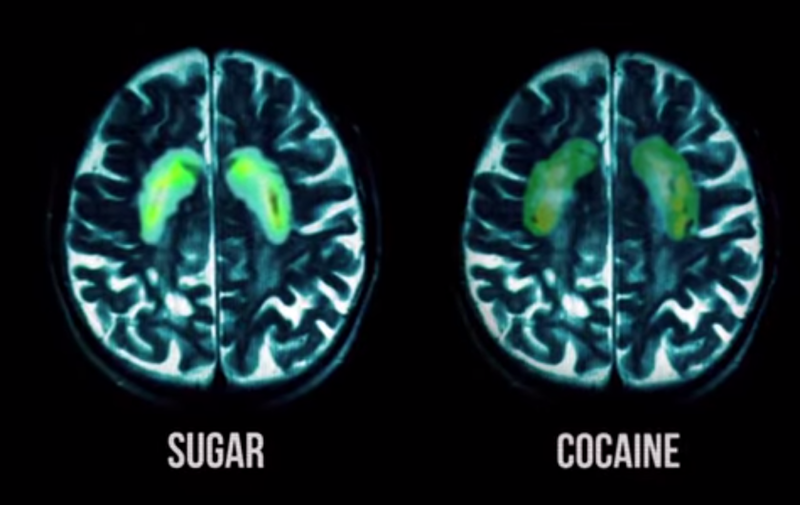 Other research has shown that this food drug, sugar, activates the same reward pathways in the brain as traditional drugs of abuse like morphine or heroin. Indeed, one can argue that sugar growers are a “cartel” (the cost of sugar is twice as much in the U.S. than elsewhere, costing Americans $4 billion/year, because the growers/cartel bribe Congress to keep import tariffs high, for example, with Congress receiving $12 million from sugar lobbyists in 2012, in part, for the sugar growers to receive $1.1 billion in loans in 2013). The mayor of New York City, Michael Bloomberg, tried to ban, without success, the sale of super-sized, sugar-rich, sodas in New York City. In the United States alone, over $1.5 billion worth of sugar is sold just in retail sales to consumers for home additive use – with the total sales of sugar in the U.S. being around $20 billion a year, and globally around $80 billion (over 160 million tons) – which is approximately equal to the illegal revenues of the global cocaine business (at only 600 tons), both addictive products to create and sustain pleasure. Indeed, the dangers of overdosing on sugar are such that now some containers of beverages have two information labels. For example, consider the KIST brand of fruit sodas produced by Coca Cola, and sold, for example, in Central America, with flavors such as grape, strawberry and orange. Like most other containers, cans of KIST contain a label with the amount of sugar, and what percentage of the recommended daily allowance (RDA) of carbohydrates that the sugar amount corresponds to, according to the U.S. Food and Drug Administration. For KIST sodas, the label includes a line of text that states that the can contains 45 grams of sugar, which corresponds to 15% of the RDA. However, there is now a new line that states that the 45 grams of sugar corresponds to 50% of the European Food Safety Authority’s recommendation for the amount of sugar is recommended for daily consumption. This added emphasis is to help consumers avoid overdosing on added sugar in their food/beverage use. Attempts to replace sugar in foods and beverages immediately are confronted with the problem of the introduction of bitterness. Bitterness is the most sensitive of tastes, a product of evolution, since a large number of bitter-tasting natural products are known to be toxic. The TAS2R family of proteins is responsible for the human ability to taste bitter substances. The bitterness of 1 gram of quinine hydrochloride in 2 liters of water has a bitterness index of 1. The most bitter substance, with an index of 1000, is denatonium (C28H34N2O3), which is added to products such as anti-freeze and rubbing alcohol to prevent accidental ingestion. For decades, industry has tried to develop an artificial sweetener to replace sugar in sodas, fruit juices, and other consumer products. Table or granulated sugar, also known as sucrose (sucrose is also referred to as saccharose), is purely organic, with a formula C12H22O11, a disaccharide of glucose and fructose (both C6H12O6 – maltose is a disaccharide of glucose). Sucrose, along with a related disaccharide – trehalose (which is half as sweet as sugar), hydrolyses in the stomach into fructose and glucose (another related disaccharide is isomaltulose, which is low-glycemic and provides more of a steady energy source than sucrose). While glucose is metabolized by cells throughout the body, fructose is metabolized primarily in the liver, with some studies linking fructose consumption to fatty liver disease. Sudden consumption of significant quantities of fructose, typically derived from corn, (such as a drinking a soda, or a fruit juice cocktail, with added high fructose corn syrup - HFCS) leads the liver to convert the fructose into triglyceride fats, mostly useful only to our ancestor apes over 10 million year ago. 200 years ago in the United States, the product made from excess corn, the forerunner of HFCS, was whiskey. Companies such as Coca Cola and Pepsi (which control one third of the global soft drink market) would be just as glad to make all of their profits from selling sugar-free sodas and juices, as contrasted to obtaining most of their profits from selling diabetes-inducing, sugar-based (typically the controversial corn-based fructose) sodas and juices (in 2013, the top five officers of Coca-Cola and of PepsiCo jointly earned $104 million, much for selling sugar water). There is no business conspiracy here, but rather an extremely complicated problem of biochemical engineering – how do you make a chemical substitute that tastes exactly like sugar, but isn’t sugar? Humans have a long history of using sugar, first domesticated on the island of New Guinea approximately 10,000 years ago. SORBITOL, MALTITOL, XYLITOL, and ERYTHITOL. One of the first sugar substitutes was sorbitol (C6H14O6), a naturally occurring sugar alcohol. While it is still used occasionally in diet food products (such as chewing gum or a breakfast bar), it has a tendency to act as a laxative and/or cause flatulence when consumed in sufficient quantity and not metabolized in the digestive tract. Similar to sorbitol, in sweetness and bowel side-effects, are a natural sugar alcohol, xylitol (C5H12O5), and an artificial sugar alcohol, maltitol (C12H24O11). For the most part, none of the sugar alcohols are used in diet soda drinks, but more often in candies and chewing gum. Another natural sugar alcohol is erythritol (C4H10O4), which has less gastric side effects than sorbitol or malitol, and is about two-thirds as sweet as sugar. Erythritol is mostly used as additive with other sweeteners, rarely being used by itself. For example, Mavericks Brands (Palo Alto, CA) sells a coconut water with added protein, Coco Libre, that has six grams of sugar and seven grams of erythritol. An ingredient starting to appear on candy nutrition labels, polyglycitol, is a syrup that comprises maltitol and sorbitol. Another sugar alcohol occasionally used is isomalitol (C12H24O11), a mix of two disaccharides (glucose/mannitol and glucose/sorbitol), with a lower blood sugar impact but can cause gastric distress (flatulence, diarrhea). For those scientists long frustrated trying to find the ideal replacement for sugar, I suspect their favorite sugar alcohol is C6H14O5 - fucitol. CYCLAMATES. The first artificial sweeteners to be used were cyclamates, in particular, sodium cyclamate (sodium-N-cyclohexylsulfamate – C6H12NNaO3S), 30 to 50 times sweeter than sugar, and with a moderate bitter aftertaste. One of its first markets was as a sugar substitute for diabetics. Cyclamates were banned in the United States in 1970 by the FDA, based on preliminary evidence that cyclamates caused cancer in rats. While there is no definitive proof, the use of cyclamate is still banned in the U.S.
SACCHARIN. Once cyclamates were banned, food/drink producers switched to saccharin (ortho sulphobenzamide – C7H5NO3S). Saccharin has a bitter taste, and was often combined, either with cyclamates, or with a bit of sugar (e.g., Coca Cola’s Tab). In 1977, the FDA banned saccharin as well for being a carcinogen, but the ban was lifted in 1991, too late for major use of saccharin as food producers moved on to other sweeteners. Five years after saccharin was created, the artificial sweetener dulcin (C9H12N2O2) was discovered, with the advantage of having no aftertaste, but the FDA removed it from U.S. markets in 1954 for being carcinogenic. ASPARTAME. The next artificial sweetener to be used was, and still is, aspartame, better known as NutraSweet/Equal (a sulfur-free, a methyl ester of two amino acids, consisting of aspartic acid and phenylalanine dipeptide - C14H18N2O5). Aspartame is used in Diet Coke, one of the most popular diet sodas. It is currently an ingredient in over 6,000 consumer foods and beverages. Its safety has been questioned as well, but is considered safe at current levels of consumption (except by people with phenylketonuria), though it took G.D. Searle eight times, from 1973 to 1983, to get the FDA to approve aspartame. One worry of use of aspartame is that the body breaks down part of aspartame into methanol (a package of Nutrasweet is converted into 3.5 milligrams of methanol), which the liver converts to formaldehyde and the formic acid. Methanol and formaldehyde, in very low doses, are not poisonous. Related to aspartame is neotame (C20H30N2O5), with a similar aftertaste, though less is needed to add sweetness as compared to aspartame, leading to less methanol conversion. SUCRALOSE. Another artificial sweetener being used is la sucralose (C12H19Cl3O8), popularly known as Splenda. Sucralose is used in over 4,500 consumer foods and beverages. Sucralose is thought to be the most “sugary” tasting of the artificial sweeteners. Sucralose has its health concerns. It is an organochlorine, the most infamous of which is dioxin, raising the question: “Is sucralose more chlorine-ish like table salt (NaCl) or more chlorine-ish like DDT (another organochlorine 300,000 times less cancerous than dioxin)?”. Another potential problem with sucralose is that while it is highly pure when used in beverages, around 98% pure, the remaining 2% has been shown in some cases to include lead and arsenic at the microgram level. Ironically, a recent study shows that sucralose, despite having no sugar, affects the blood levels of sugar and insulin. ("Sucralose affects glycemic and hormonal responses to an oral glucose load", Diabetes Care, vol 36 (6), June 2013). ACESULFAME. One other, very “sugary” tasting artificial sweetener is acesulfame de potasio (C4H4KNO4S) (also referred to as acesulfame K). Acesulfame is 200 times sweeter than sucrose, about as sweet as aspartame, 2/3 as sweet as saccharin, and 1/3 as sweet as sucralose. Coca-Cola Zero is made sweet with a combination of acesulfame and aspartame. Acesulfame has its concerns, including the remnants of methylene chloride, a known carcinogen, used as a solvent during the manufacture of acesulfame. NEOHESPERIDIN DIHYDROCHALCONE. Neohesperidin dihydrochalcone (NHDC - C28H36O15) is an artificial sweetener derived from citrus plants, and is particularly effective in masking the bitter tastes of compounds found in citrus plants. It is also used as a flavor enhancer. While it is approved for use in Europe, it is not approved for use in the United States, one problem being that under some conditions it can cause nausea and migraine. STEVIA. Stevia is a genus of about 240 species of herbs and shrubs, many found in the tropical regions of the Americas. One species, Stevia rebaudiana, is known for its sweet leaves, and its glycoside Rebaudioside A (C44H70O23) is used in sweeteners for being most sweet, though is still bitter. An extract of the leaves, stevia glycoside is about 300 times sweeter than sugar, but with a slower onset and longer duration of sweetness than sugar. But pure stevia has a bitter taste, making it a natural artificial sweetener, such that use in colas does not offer many benefits, while being more costly to harvest than chemically manufacturing an artificial sweetener. One diet cola using stevia, Virgil’s Zero Real Cola (Los Angeles, CA), still retains the bitter aftertaste found in other diet colas. An ‘improved’ powdered form of stevia, “Better Stevia”, manufactured by NowFoods, which “utilizes the whole leaf extract to retain the pure sweetness in real stevia”, also retains much bitterness. Indeed, one company has obtained a patent for an artificial sweetener to make stevia less bitter (U.S. Patent 8,119,821). Additionally, in the 1990s, the FDA rejected stevia as a food ingredient, because high doses in rats reduced sperm production and caused gene mutations. In 2008, though, the FDA approved use of stevia. Similar to stevia is monatin, a sweetener from a shrub grown in South Africa, that is now attracting commercial interest. GLYCIRRHIZIN. Glycirrhizin (C42H62O16) is a naturally sweet substance derived from the licorice root, 30 to 50 times sweeter than sugar, though it is not typically used as a sweetener. Glycirrhizin has a slower onset, but lingers longer, than sugar. MONK FRUIT. Monk fruit (luo han go) is another fruit based sweetener, the latest sugar substitute to be used in the consumer food industry, though used for centuries in China as a sweetener, as well as to treat diabetes and obesity. Monk fruit extracts, mogrosides, can be 300 times sweeter than sugar. Beyond using artificial sweeteners to avoid the diabetes-inducing effects of sugar consumption, is the use of artificial sweeteners to avoid the weight-gaining effects of sugar consumption. Ironically, in 2013, Susan Swithers of Purdue University, argued that in some cases, artificial sweeteners can lead to weight gain, by disturbing the brain’s and body’s ability to count calories, thus causing the consumer to eat more sugared products to get the dopamine and calories that the artificial sweeteners don’t provide. Sugar, especially fructose, is increasingly being recognized as a dangerous addictive drug causing rampant obesity and diabetes around the world, killing millions and costing tens of billions for health care. 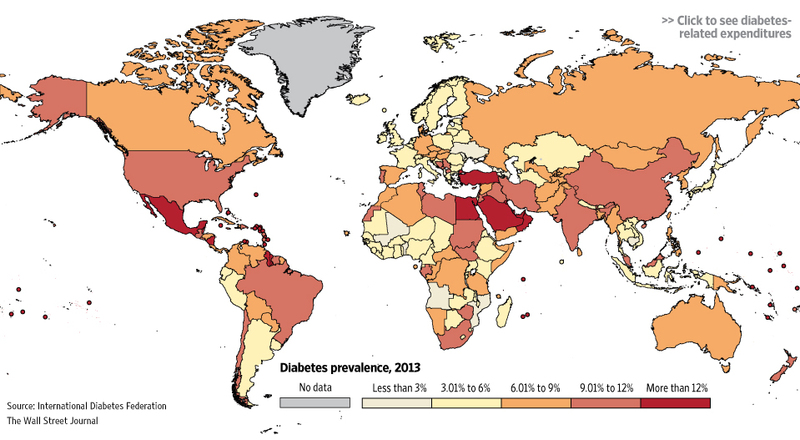 Use of coca neither kills nor causes diabetes. Too many (sugary) sodas contain potential carcinogen: 4-methylimidazole, on labels as "caramel coloring"
Why is there so much sugar in low-fat yogurts - can't both be reduced? Is sugar the new tobacco, another dangerous addictive drug? Is it so hard to make an all-natural soda that has no calories and actually tastes good? YES! Sugar: is it poison or pleasure? The great sugar battle: are more taxes on sugary beverages on the way in cities and countries? The insanity of agricultural and food policies in the U.S.
Is sugar destroying the entire world? Is excess consumption of sugar souring the global economy? Subsidized high prices of sugar in U.S., due to U.S. sugar cartel, forces U. S. candy makers to manufacture outside the U.S.
Is the sugar industry facing legal liabilities for health problems as did tobacco industry? Sugar: consumption at a crossroads - will health concerns lead to taxation and regulation? Sugar and the heart: [Yudkin's] old ideas [of danger and risk] proving true? How the sugar industry keeps scientists from asking: does sugar kill? Coca-Cola: [sugary] pollution in a bottle? VIDEO: Prof. Robert Lustig's "Sugar - the bitter truth"
Is it cereal - or candy? While artificial sweeteners were originally put forth as a way to reduce the health dangers of sugar, increasingly artifical sweeteners are being recognized as just as dangerous as sugary.